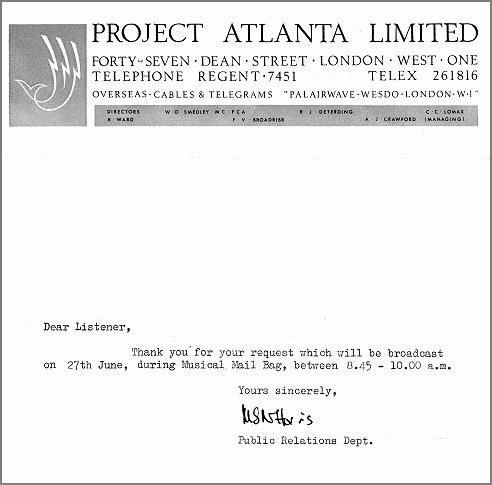 That's my request - from 50 years ago! Chris's letter from Radio Atlanta. Back in the sixties your webmaster had requests played on Radio Caroline South and Radio 355 but was surprised to also hear his name mentioned in this vintage clip from 1973, found while searching through audio to add to the website.